With the rise of the Internet and Internet marketing companies are flocking to expose their brand in the digital realm. With a flood of online advertising it becomes hard to separate your brand (and its products) from the rest. Some companies are thinking outside of the box and successfully marketing their companies the good old fashioned way. 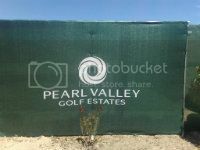 With outdoor advertising using shade cloth from Printed Shadenet Solutions , getting your name out to specific markets is easy and very cost-effective. The reason shade cloth (or shade net as it is also known) is so cost-effective when compared to other forms of outdoor advertising is its strength, durability and ability to be used outside in inclement weather. Printed Shadenet Solutions use an HDPE (high Density Polyethylene) material, which does not fade, tear or rot and so can be used in windy areas or places with heavy rainfall. It is for these reasons that shade net is so popular with construction companies. Is not digital advertising still worth paying money for? That is a question many small to medium companies are asking themselves more and more these days. The answer is that you should be spending very little, if nothing, on your online marketing, leaving a bigger budget for �real world� branding. With the rise of social media and SEO for websites, companies can spend a lot less advertise their products digitally and get just as much exposure. This cannot be said for the built environment however. With a bigger budget to spend on physical advertising, solutions that will last the longest and are the most versatile are definitely the best options. Shade net's re-usability as well as versatility and ease-of-setup make it a far better option for outdoor advertising than traditional fixed signage or billboards. If you are interested in shade cloth branding for your company visit the Printed Shadenet Solutions website for more information about outdoor advertising, contact details, pictures of previous projects and the latest Printed Shadenet news.